A book about a young Jewish girl who was sheltered by the author’s grandparents during World War Two has won the Costa Book of the Year award. 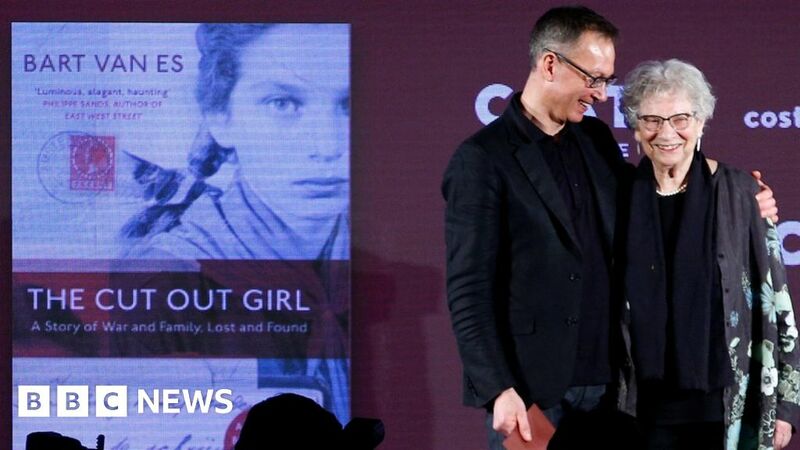 He traces the story of the Dutch girl who was taken in at the age of nine by van Es’s grandparents before her own parents were sent to Auschwitz. That girl was Lien de Jong, who is now in her mid-80s and attended Tuesday’s ceremony in London. The judges – chaired by BBC News journalist Sophie Raworth – described the book as “sensational and gripping – the hidden gem of the year”. It follows the on-off relationship between two Irish schoolfriends and won rave reviews when it was published last August. It was named the Waterstone’s book of the year and is now being turned into a BBC drama. Travel writer Turton’s debut novel is a sci-fi murder mystery that channels Agatha Christie, Groundhog Day and Quantum Leap. Its main character relives a single day eight times – each time inhabiting a different person’s body as he tries to work out who has committed murder in a country house. The TV rights were sold even before it was published last February. The Scottish poet’s sixth book was inspired by his father’s work as part of Bomber Command during the Cold War. The story follows Clarry from birth to adulthood and centres on the characters’ quests to escape both the shadow of war and the social constraints of the time. Last year’s overall winner was the late poet Helen Dunmore for her final collection, Inside the Wave.